Expats all know by now that moving to a foreign country requires a great deal of change and effort to adapt to the strange culture – but what’s it like to return home and have to re-adapt? 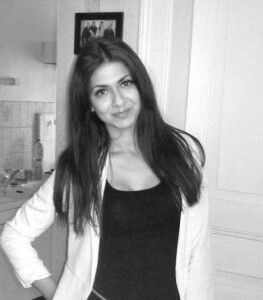 Yasmin was born in England, but moved to France when she was 12. After 6 years living in France, she repatriated to England at the age of 18. We interviewed her to discover what she found challenging when she returned to England, and how she coped. So, Yasmin, to start with, why did you move back? My parents moved back and I couldn’t afford to stay in France on my own as a student. I took a place at the University of Southampton, but first spent my gap year working during ‘term time’ at Zara in Southampton, and visiting my friends and boyfriend back in France in the summer. What were your biggest challenges upon returning to England indefinitely? To be honest, the move was a temporary thing in my head. I felt French. I was in a relationship with a French guy and I had a life over there. Coming from living in the countryside and Rennes, a warm, friendly student town, England appeared cold, dangerous and rainy. I didn’t feel at home, I just wasn’t comfortable. Could you give me a specific example of trouble you had adapting? Well, I didn’t feel like I had anything in common with people in Southampton. Everything was different: the people, the way of life…. None of the friends I made at Zara were actually English – they were French, Peruvian and Italian. What did you do to help yourself settle back in? To me, England only became a permanent thing once I’d settled in at uni and my boyfriend and I had broken up. Then what I did was make a bigger effort to find English friends with whom I had things in common. I suppose bonding over British cultural elements like ‘Gavin & Stacey’ and celebrity gossip helped me feel more at home. Did any strange slip ups or mistakes happen when conversing in English for the first time in so long? Yes – I was speaking English with French sentence constructions and pronunciation. I also had trouble understanding current slang terms and text abbreviations. Do have any advice, or top tips perhaps, for those making the move back? I would say, make an effort to engage with people, and find communities that understand your past so that you’re not forced to leave behind the things you loved about that life/country. For me it was ‘Frensoc’ (the French Society at the University of Southampton) who shared a love for France and a hatred for the complicated language. For others, an idea might be to go to a certain restaurant or language class to meet people that have shared the same experiences as you. It’s all about feeling part of a community and sharing a common identity. The key, then, according to Yasmin, is to find something and someone you can relate to so that you can maintain your identity and settle in more comfortably. You don’t need to cut ties with your expat past, but rather find a way to integrate it into your life back home. If you have any further tips or experiences you wish to share, let us know in the comments box below.